Posted on 16th October 2018 16th October 2018 Author CoinSpectatorCategories ContributionsTags Genesis Mining, NuvooLeave a comment on Canadian Cloud Mining Powerhouse Nuvoo Revolutionizes Cloud Mining Industry with a Month-to-Month Contract and 50% Cheaper Rates! Nuvoo, the largest crypto ecosystem mining company in Canada, is now taking giant strides towards emerging as the world’s leading platform for convenient and profitable cryptocurrency mining. The company has just released a new bitcoin contract that will completely change the game for the industry, with a month-to-month concept based on a 24-month payment for an open-ended contract. As one of the world’s most trusted crypto mining companies, Nuvoo proudly announces the release of a new bitcoin contract that promises to have a significant impact in the global crypto space. With these new contracts, backed by the latest ASIC technology, Nuvoo has already started offering a low pricing structure to challenge the likes of Genesis, Hashflare, and other competitors. 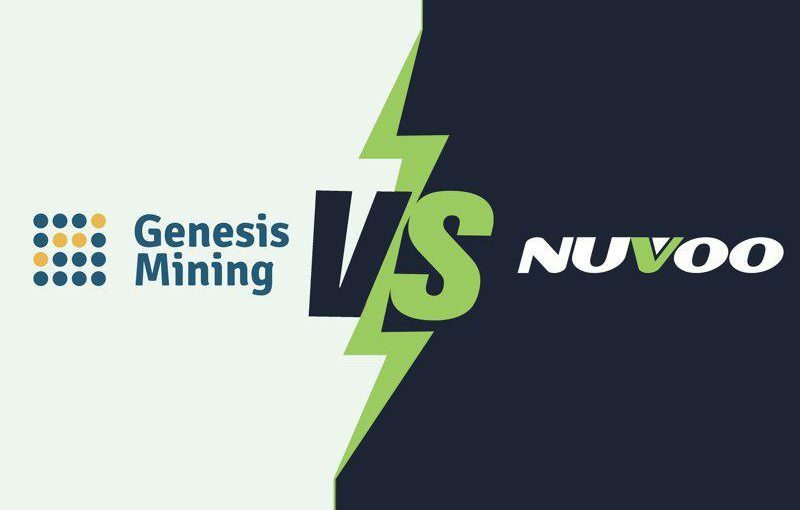 Nuvoo is pleased to say that their Bitcoin mining rates are currently 50% cheaper, including a lower maintenance fee, compared to Genesis Mining. With the launch of this new contract, Nuvoo becomes the first company ever to offer customers the benefit of making payments in up to 24 installments. For example, someone purchasing a $3000 contract from Nuvoo will enjoy the privilege of paying just $125 each month, spread out over 24 months. This creates an opportunity for Nuvoo customers to get larger contracts for lower monthly payments, and it allows the market to grow in a major way. With a bitcoin mining system that is ideally suited for beginners, Nuvoo offers a smart and easy way for crypto hobbyists to take their first steps into the crypto world. At the same time, their system has been used to great effect by crypto experts and entrepreneurs to operate large-scale mining farms. As part of their rapid diversification drive, Nuvoo will soon be launching their own cryptocurrency exchange. Leveraging the excellent infrastructure and favorable climate in Quebec, Canada, Nuvoo currently owns and operates more than ten world-class datacenters catering to thousands of customers around the world. Crypto enthusiasts have put their trust on Nuvoo because they offer one of the safest and most transparent ecosystems for crypto miners. In order to provide the best contract prices to customers, they never make any profit on mining equipment. The customers buy fixed Hashpower contracts, provided directly from one of the largest state-of-the-art ASIC mining farms owned and operated by Nuvoo. Unlike other competitors, Nuvoo emphasizes lower mining costs and the use of greener energy. This is possible because a high percentage of electricity in Quebec is generated from hydroelectric dams. The cooling costs are also lower because the region remains significantly cold for a considerable part of the year. Nuvoo attributes their strong position in the market to the company’s special relationship with energy providers and several municipalities in Quebec, all of whom are key players in managing the generation, transmission, and distribution of electricity in the province. In January of this year, Nuvoo was invited to a special event presented by Hydro-Quebec, as a guest panelist in order to represent the blockchain community. Bitcoin mining contracts from Nuvoo are open-ended, and payouts are generated on a daily basis with the withdrawal limit set at 0.0020 BTC. To provide miners with an idea of the earning potential of each mining plan, there is also an efficient mining calculator on the company’s website provided by Cryptocompare, a neutral third party. Nuvoo and its parent company are about to launch their own exchange, featuring both fiat-to-crypto and crypto-to-crypto solutions. The company is very excited to finally provide a safe trading ecosystem to their clients. About Nuvoo: Nuvoo is a cryptocurrency mining powerhouse that focuses on offering cost-effective solutions to cryptocurrency hobbyists and professionals alike. Their philosophy is to enroll the top leaders in the cryptocurrency industry and to make them available to the community. The company specializes in hosting high-density computer hardware requiring substantial access to both power and cooling.